OpSec: Why you should care about yours. I don't remember exactly how I came to view the tweet and subsequently the twitter account associated, but last night (8/8/16 into early 8/9/16) around 11:30pm Eastern, I did. The now deleted tweet that I first saw came from an account named "@HillsMedRecords"
The first tweet that I saw from the account was an image. @HillsMedRecords reported that they were reports from a doctor that treated Hillary Clinton in 2014 and 2015. Immediately browsing to the profile page for the user, I noted that the account seemed to have been just created earlier on the 9th based on the earliest tweet listed. For reasons only known to the person responsible for the @HillsMedRecords account, they decided to include a massive amount of details in that tweet for no apparent reason. As a result, my infosec/osint brain immediately shifted into gear, driving an intense desire to figure out who was behind the account because of their lack of caution in posting details that I immediately felt like would lead me (or any motivated person, entity, government, etc.) to discovering their identity. I should take this opportunity to note that this blog entry is completely non-political in nature. That is, I am not stating support for any candidate, including Hillary Clinton, by posting this blog, nor by the actions I am outlining herein. This is simply an exercise in explaining why, if you intend to whistle-blow, you need to practice absolutely flawless OPSEC if you intend to go about doing so independently rather than through the normal channels such as trusted media sources, etc. Failure to do so may be detrimental to your own well-being or anonymity. Now, back to the topic at hand. 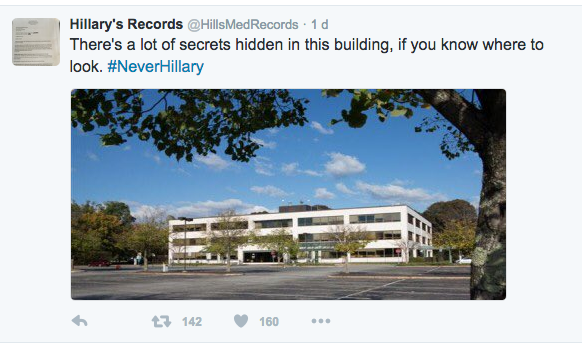 Again, @HillsMedRecords seems to be going out of their way to out themselves via the method of allusion in this case, implying the building in the image was the one in which the images of the printed-to-paper medical reports originally came from. The tweet itself only had 1 reply, from an individual asking what/where the building was. However, @HillsMedRecords did not supply the requested information. Clearly the images are the same. This was the only result that google found as a direct match for the image. Additionally, a TinEye search also revealed the same results. I immediately thought back to the tweet I show in the first image above, in which the end of the tweet states: "Luckily I saved a few things when I left for a new job". 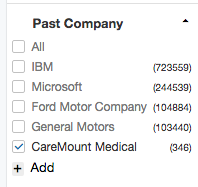 The person using the account @HillsMedRecords on Twitter was formerly employed at the Mount Kisco Campus of the Mount Kisco Medical Group aka Caremount Medical in Mount Kisco, New York. The person must've been employed by Mount Kisco Medical Group / Caremount Medical, at minimum, in the range of dates between the two images they tweeted of the purported medical reports: February 2014 and March 2015. I considered that start-date for the person would likely have been earlier than that though, given the "hostile" sort of language aimed at Kisco Medical Group / Caremount in the tweets that allude to them. 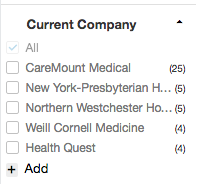 The person is very likely currently employed by a company / organization that some might consider to be a "better" place to work, or at least in a position that would be considered a "step up" from whatever their position was within Kisco / Caremount. They worked extensively in an administrator-level capability group on the EHR (Electronic Health Record) System, including report template creation, sample creation, SSRS report creation (accompaniment to EHR reports), EHR SQL Database Back-end troubleshooting, administration, and overall management of the EHR System and its report templates. They started their new job at their new company in May 2015. "Hi - I first want to assure you I do not currently work for any government or law enforcement agency. The information I provide below was all information I found via publicly-searchable / available information on the internet, and you should know that I found this information with a matter of 15-20minutes of actually looking." "If your name begins with the letter , and you worked @ MKMG in the EHR administration area, you really, really need to be much more careful with your OPSEC on your tweets, because I was able to find your actual name in that 15-20minutes with nothing more to go on than the information you provided in your first few tweets. If I can do it in that amount of time, its likely that any government or law enforcement entities can likely do the same, if not faster." The time that I sent those messages was around 3am Eastern. By the time that I woke up and got to the office around 10am eastern time, all of the tweets referenced above had been deleted. Then, very shortly after (~10min) I noticed the tweets were deleted, I also noticed that the direct message I sent was no longer showing in my inbox. I then attempted to browse to @HillsMedRecords profile page, and the account had been deleted. This, seemingly confirming my theory on identity, since the user had first deleted the tweets before deleting the account, suggesting it wasn't a suspension or removal by Twitter, but rather the user themselves. BHaFSec Blog is maintained by BHaFSec. This page was generated by GitHub Pages using the Cayman theme by Jason Long.